The 21st Annual Leadership Summit was held in Savannah, Georgia on September 26-28th, 2013. It should be noted that Savannah is home to five Diamond Level certificate holders. The Diamond: Leadership Regent Certificate Level is currently the premier award level offered through the National League of Cities’ Certificate of Achievement in Leadership Program. This award level has been reached by Mayor Edna Branch Jackson, Mayor Pro Tem Van Johnson, II, Chairman of Council Tony Thomas, Alderman Mary L. Osborne, and former Alderman Clifton Jones. This year the theme of the program was “Leading to Yes: Focusing on Strengths and Finding Common Ground.” Leadership scholars and field experts explored ways to effectively find common ground and resolve conflict within personal, community, and statewide relationships. 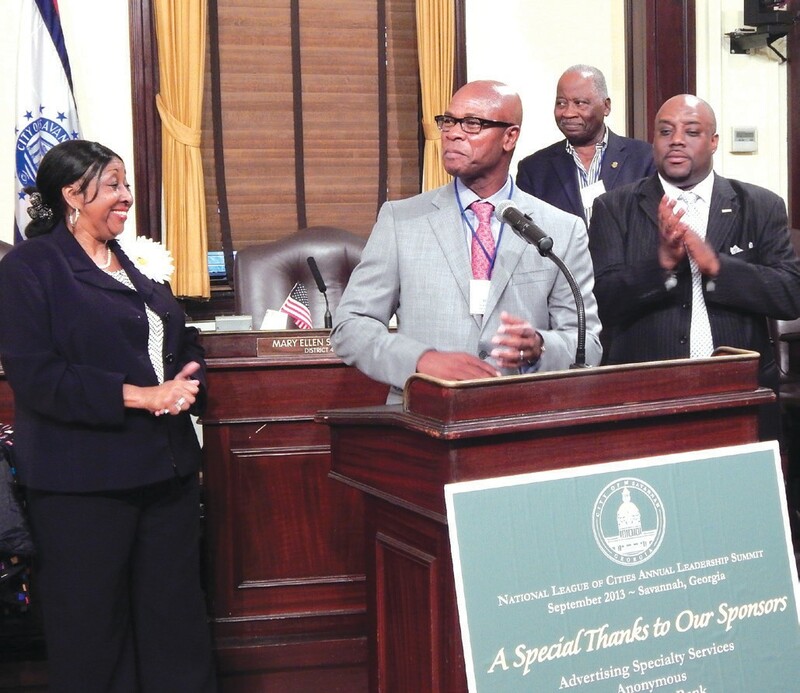 Additionally, the National League of Cities has collaborated with Mayor Jackson and the city of Savannah to bring participants an exciting taste of the host city, including two special evening receptions and local area tours.